On Friday, March 31st, ASCE’s Region 9 and the Los Angeles Section co-hosted this year’s California Infrastructure Symposium & Region 9 Awards Banquet at the California Science Center in the City of Los Angeles’ Exposition Park, with almost 270 people in attendance. The theme for this year’s symposium was “Dream Big – Ideas and Innovations for Sustainable Infrastructure”, and our program certainly accomplished that! One of the morning’s keynote speakers was Phil Washington, CEO of LA Metro, who provided his perspective of Metro’s vision and accomplishments for Los Angeles. The other keynote speaker was Norma Jean Mattei, 2017 ASCE President, who provided a compelling overview of the just-released 2017 ASCE Infrastructure Report Card. This year we were fortunate in having three current and former mayors address our symposium. During the lunch hour, Mayor James T. Butts, Jr. of the City of Inglewood presented the unique and historic position of the City of Inglewood as the host of not one but two NFL teams in the Rams and the Chargers. Mayor Butts also spoke about the potential to bring an NBA team to Inglewood in the near future. Former City of Los Angeles Mayor Antonio Villaraigosa also spoke during lunch, and brought his perspective on the need for infrastructure investments throughout California. 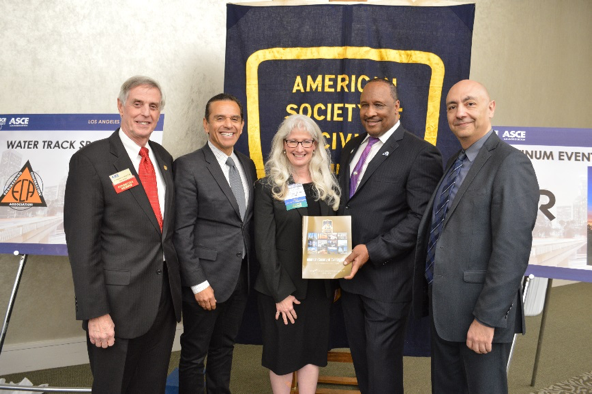 From left to right: Jay Higgins ASCE Region 9 Director; Antonio Villaraigosa, former LA Mayor; Norma Jean Mattei, 2017 ASCE President; James T. Butts, Jr., City of Inglewood Mayor; and Yaz Emrani, 2017 California Infrastructure Symposium Chair. Our first afternoon keynote speaker was the current mayor of the City of Los Angeles, Eric Garcetti. Mayor Garcetti also spoke of the continued needs for infrastructure investments, including partnering with the current administration on addressing LA’s infrastructure needs. 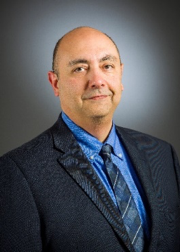 Our final keynote speaker was Shaun MacGillivray, Producer of the ASCE/Bechtel movie, Dream Big. The symposium was followed by a screening of the movie Dream Big at the California Science Center’s IMAX theatre. This is a great production, and I highly recommend viewing it in IMAX 3D. 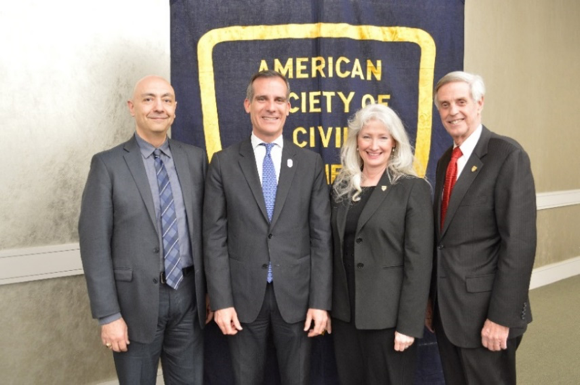 From left to right: Yaz Emrani, 2017 California Infrastructure Symposium Chair; Eric Garcetti, Los Angeles Mayor; Norma Jean Mattei, 2017 ASCE President; and Jay Higgins, ASCE Region 9 Director. The 2017 symposium included two full-day tracks on water and transportation. Both tracks featured discussions by a broad array of panelists from State and local governments as well as private sector engineering firms. The Water Track covered four topics on Strengthening Local Drought Resilience, Indirect and Direct Potable Reuse, Safe and Reliable Water Supply (for Disadvantaged Communities), and Innovative Approaches for Sustainable Water Supply Infrastructure in the 22nd Century. The Transportation Track also covered four topics which consisted of Rail and Transit, Sustainable Port Development, Transportation Funding, and Hot Topics in Transportation. 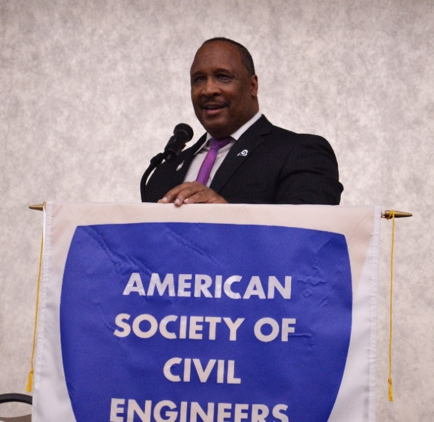 ASCE thanks all these speakers for taking the time to present to our diverse audience of civil engineers and other community members who ranged from college students, to retirees in the civil engineering field. Later that evening, 240 people attended the annual Region 9 Awards Banquet in the Samuel Oschin Pavilion under the majestic Space Shuttle Endeavor. Norma Jean Mattei, 2017 ASCE President, provided the keynote speech followed by a presentation of the 2016 Region 9 statewide awards for individuals and projects, which was hosted by the Chair of the ASCE Region 9 Awards Committee, and Region 9 Governor, Matt Kennedy. The presentations included a total of 22 project award winners and 15 individual award winners. Project of the Year was awarded to the San Diego- Tijuana Airport Cross Border Facility. The Engineers of the Record were Latitude 33 and Kleinfelder, Inc. and the Owner is Otay-Tijuana Venture, LLC. The Cross Border Xpress (CBX) Terminal Building and Pedestrian Skybridge is an unprecedented binational project that provides direct, secure, and convenient access between a new terminal building in San Diego and the Tijuana International Airport (TIJ). It enables ticketed passengers flying into or out of TIJ to avoid unpredictable border wait times and often lengthy delays at congested land ports of entry at San Ysidro or Otay Mesa. After eight years of planning and preparation, CBX opened for public use in December 2015. In the U.S., CBX’s 2-level terminal facility features more than 65,000 square feet of indoor and outdoor patio waiting areas for passengers and guests, along with retail, Duty Free, food and beverage venues, and fully bilingual customer service. The facility is open 24/7, with convenient short- and long-term parking on-site, as well as a variety of ground transportation options including rental car, taxi, Uber and shuttle access. The complex, multi-faceted 390-foot-long pedestrian bridge connecting the new terminal to TIJ blends engineering and construction excellence with binational collaboration; requiring bilingual coordination between the design team and contractors on both sides of the border. The project was privately financed and operated by Otay-Tijuana Venture, LLC (OTV), a private investment group with U.S. and Mexican shareholders. OTV placed considerable emphasis on creating a cost-effective facility that cohesively combines aesthetics and functionality. For a complete listing of the award winners, please visit Region 9’s infrastructure symposium website at www.cais17.org. The sponsors for the symposium included 35 public agencies, companies, and ASCE San Francisco, San Diego, and Sacramento Sections plus the ASCE Orange County Branch. These organizations are dedicated to supporting ASCE and our State’s infrastructure. The Symposium Platinum Sponsor was HDR and the Transportation and Water Track sponsors were David Evans and Associates and ECA, respectively. Not only did they provide financial support for the events, but they also facilitated the track presentations throughout the day. Our other Gold Sponsors included: AECOM, LA Metro, and Kleinfelder. Our Silver sponsors included: Carollo Engineers, Inc., Inc., Mott MacDonald, Michael Baker International, Parsons, Oldcastle Precast, RMC/Woodward & Curran, California Baptist University, LADWP, and the Port of Long Beach. Our Bonze Sponsors were: Amec Foster Wheeler, Anderson-Penna Partners, Caltrop Corporation, City of LA Bureau of Engineering, East Bay Municipal Utility District, Geoscience, HR Green, Mark Thomas Company, Pacific Advocacy Group, Rick Engineering, SA Associates, Santa Ana Watershed Authority Project, TKE Engineering, Vali Cooper, Western Municipal Water District, APWA, Southern California Chapter, ASCE Sacramento, ASCE San Diego, ASCE San Francisco, and my ASCE Branch, the ASCE Orange County Branch. Our Awards Dinner Platinum Sponsors were: Stantec, Earth Systems, CWE, Belgard, Leighton and Associates, Psomas, Granite Construction, and Wiss, Janney, Elstner Associates, Inc. Our Gold sponsors were: David Evans and Associates, Hathaway Dinwiddie, Minagar & Associates, Inc. NMG Geotechnical, Inc., LPA, and SA Associates, Our Silver Sponsors included: Labelle Marvin, Huitt-Zollars, and the Riverside County Flood Control and Water Conservation District. As the respective Chairs for the events, Matt Kennedy and I would like to thank all our volunteer staff for the planning and execution of both events. These volunteers helped make the event the great success that it was, along with our speakers and of course the fabulous audience! We look forward to San Francisco in 2018!